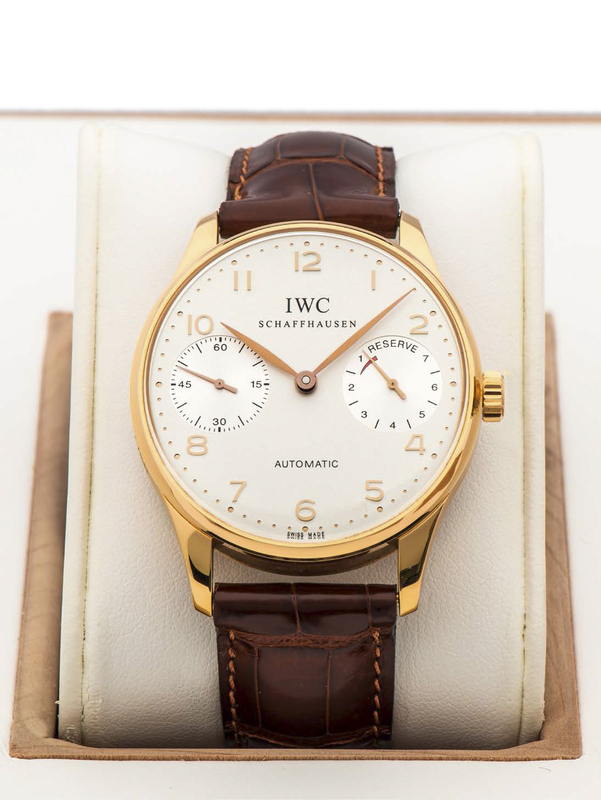 IWC PORTUGIESER REF. 5000 POWER RESERVE ROSE GOLD LIMITED EDITION, 403/750 A very fine and rare self-winding 18K rose gold wristwatch with 7-day power reserve indication. Accessories Original fitted box, guarantee, instruction booklet, polishing cloth and hang tag.